Join Dr. Nick Hawkins and Dr. Andrew Gorecki in today’s podcast on why 70% of patients don’t complete plan of cares and what you can do about it through the act of motivational interviewing! [2:34] Who is this episode for? [4:10] Common ‘traps’ PT’s fall in to during patient care and how it can affect patient outcomes. [7:07] The ways that we can make the shift in our minds and ultimately lead patients to completing the plan of care. [16:50] Treat others how they would treat themselves—What YOU want for your patient may not be what they want. [18:30] DARN: desire, ability, reason, need. 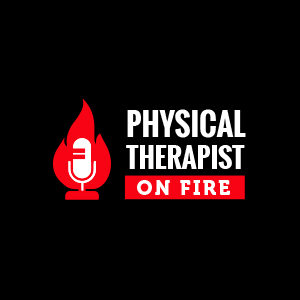 © 2017 Physical Therapist on Fire. All Rights Reserved. Fellow Physical Therapists-- The future of PT seems dismal, but wait until you see what these therapists are doing ... Become a member of Our Podcast Community.